Mercedes-Benz has got people talking about its new model with a nine-city music tour, ‘The Evolution Tour’. 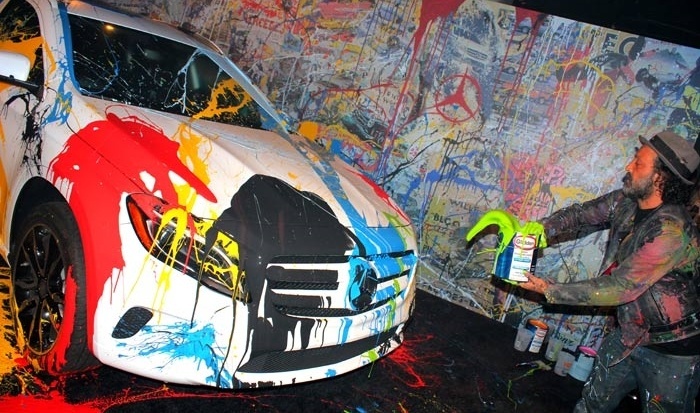 In order to showcase the intrinsic bond between music and cars and the evolution of the Mercedes-Benz brand, the tour features music from Alabama Shakes, plus a live interactive art exhibition by Mr. Brainwash—Los Angeles-based street artist Thierry Guetta. Read more on the Marketing Society blog, where Managing Partner Joss Davidge blogs weekly about impressive experiential marketing campaigns he has spotted.